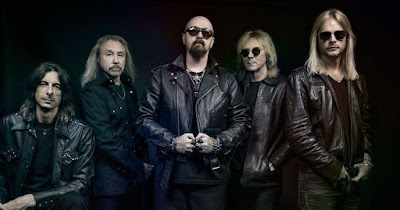 Glenn Tipton joined Judas Priest on stage to perform the encore during the band’s June 9 appearance at the Sweden Rock Festival in Sölvesborg, Sweden, and video from the event has surfaced online. This spring, Tipton announced his retirement from the road following a diagnosis of Parkinson’s Disease that has affected his ability to play guitar, although he is featured on the veteran metal outfit’s latest studio effort, which debuted at No. 5 on the Billboard 200 to earn the band their highest-ever charting US album. The guitarist personally chose album co-producer Andy Sneap to take over his touring duties, while managing to make several appearances during the group’s spring trek across North America. The European leg of the “Firepower” world tour will wrap up in early August, following which the band will return to North America to team up with Deep Purple for a 25-city co-headlining trek that will begin in Cincinnati, OH on August 21.